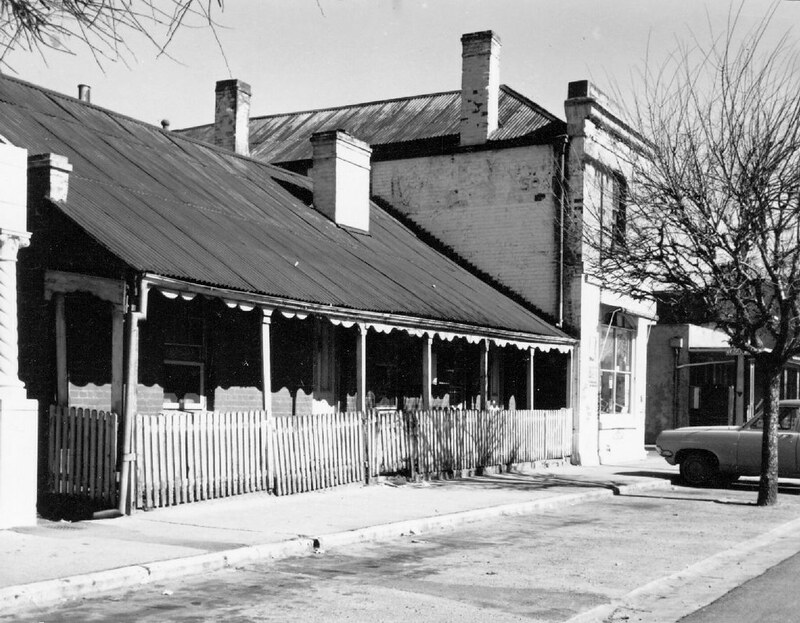 These one-storied cottages were built in the 1840s and by 1849 were owned by John Martin; they were built of brick and their scalloped wooden fascia board came before cast-iron lace. The extension of the roof to form the veranda was unusual in an Adelaide cottage. They were demolished in the early 1970’s.